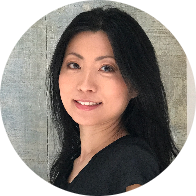 Born and raised in Japan, now living in New York, I am a Certified Holistic Health Coach. When I was 14, I struggled with eating disorders. This experience became the reason that I came to study about the connection between mental health and nutrition. Now, as a holistic health coach, I support people to hold them accountable to doing what they think they should do for their health or dream and help them break down their goals into easy action steps they can take.